Administrative data are collected by government agencies in the normal course of delivering social services and programs. Administrative data are often Personally Identifiable Information (PPI), meaning that, without the proper protections, they could potentially identify a specific individual in a data set. Therefore, agencies must comply with stringent federal regulations and privacy laws when they endeavor to share or link data across domains. When administrative data sharing and data linkage is done safely and legally it becomes a powerful tool to inform policy and practice. 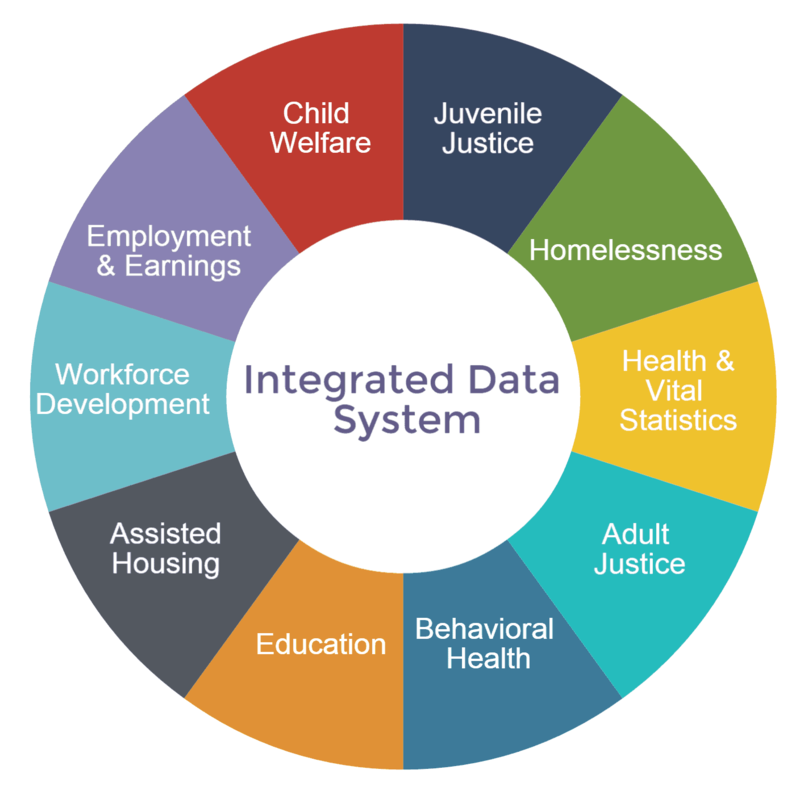 An IDS is designed to do just that; it provides the governance process, legal framework, technology, and human capacity to safely link administrative data across multiple agencies to monitor and track how services are being used and to what effect. An IDS does not link and store all administrative data from across domains permanently. Instead, it links specific extracts of administrative data across multiple domains for approved projects and an approved timeframe. These domains may include but are not limited to: juvenile justice, homelessness, health & vital statistics, adult justice, behavioral health, education, assisted housing, workforce development, employment & earnings, and child welfare. What does a fully-functioning IDS look like? For more examples and information on the benefits of each model, see our Expert Panel report.